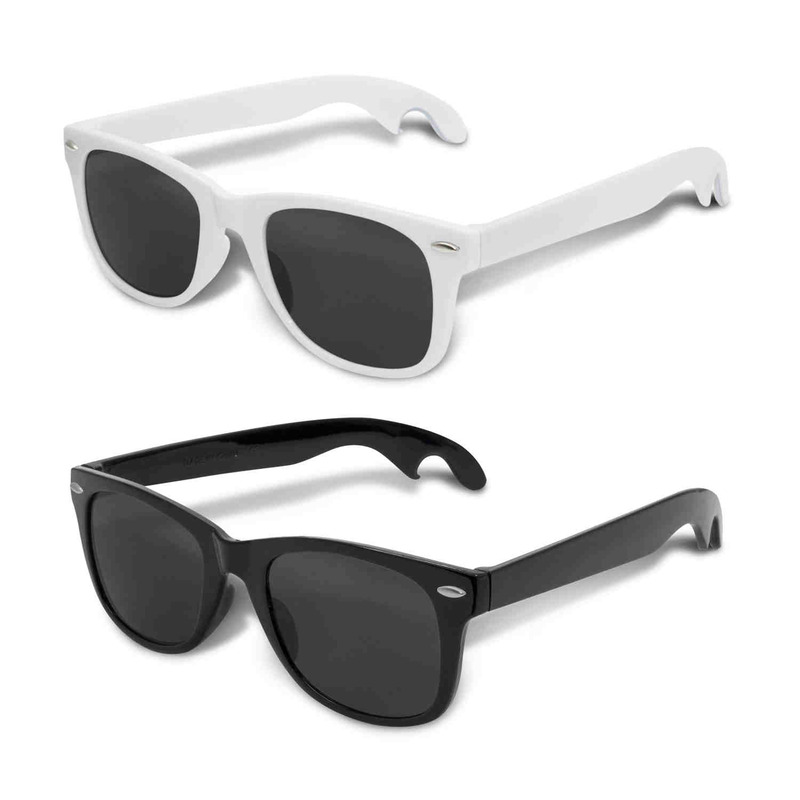 A black or white pair of sunglasses with UV protective lenses and a bottle opener on each arm. Do you like the look of the Malibu, but feel it could do more for you? 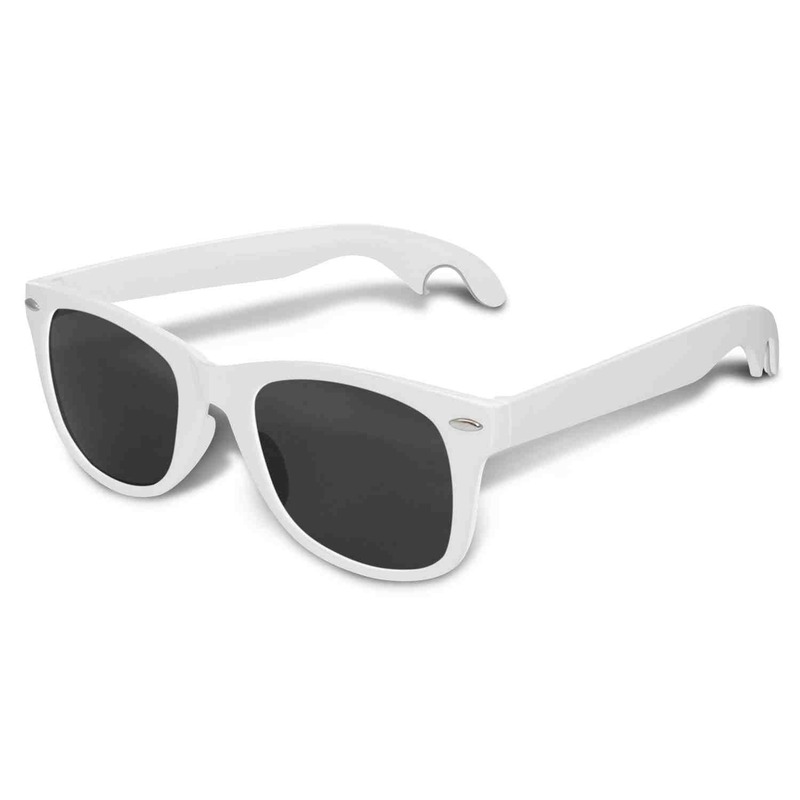 Well these ingenious pairs of sunnies have a bottle opener on each arm to really get the party started. 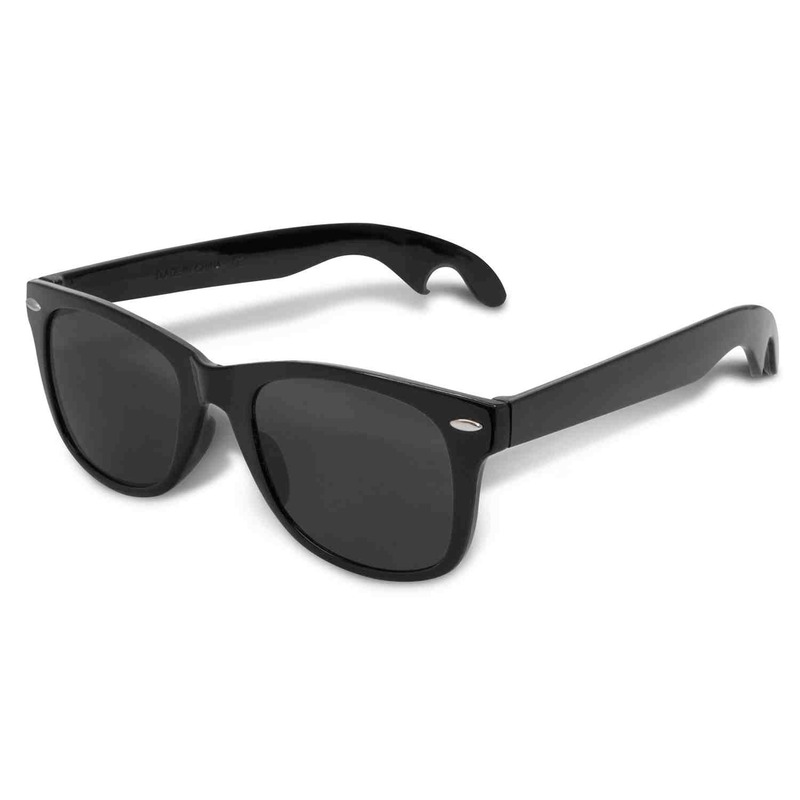 They have an impact resistant polycarbonate frame and arms which are fitted with CE standard 100% UV 400 lenses, providing both UVB and UVA protection. We can also supply these in an optional microfibre pouch for an additional cost.